We have taken part in the GoHerdwick! project this year in partnership with the Calvert Trust. 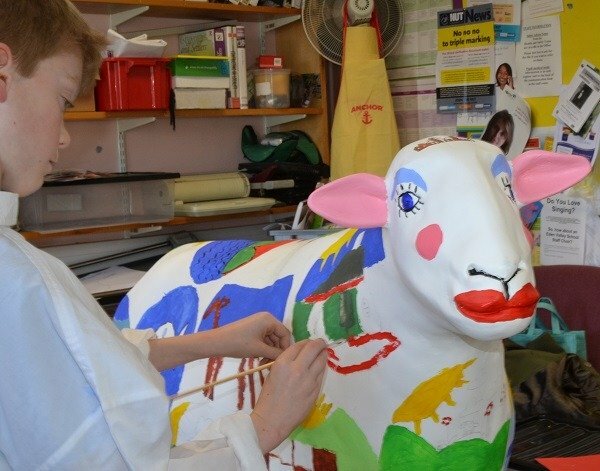 Local businesses across Cumbria have sponsored and worked with artists to decorate a life-sized model of a ewe, which were placed on a trail running from Keswick to Windermere. 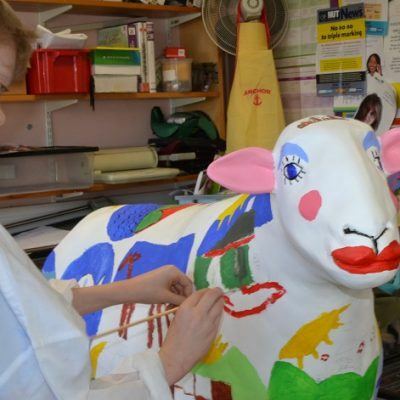 Our Herdy, Bella – painted by our local primary school Lazonby C of E – and was located outside the Booths store at Windermere for the summer months. Bells’ strong relationship with Booths over the years, with many of their cakes, artisan breads and rolls being available across their stores, made the spot outside the Booths store a perfect grazing patch for Bella. She will now return to Lazonby School to keep warm for the winter and will be on display for all the children, teachers and visitors they have. Bella was kindly purchased by an anonymous parent at the school with all proceeds going directly to the Calvert Trust.